SMELLRID Reusable Activated Charcoal Odor Removal Filter: 6 (4" x 14") Filters/Pack Summary SmellRid™ Reusable Charcoal Vent Filters are made of sturdy, but flexible non-woven fabric impregnated with activated Charcoal. Through the actions of the activated Charcoal, each reusable filter is capable of absorbing and eliminating air-borne odors at the molecular level. Features & Benefits • Activated carbon vent filters for every room in the house • Effectively removes airborne odors and allergens • Chemical-free, fragrance-free, toxin-free • Affordable 6-pack of 4" x 14" filters fit most air vents • Easy to use- just place on vents or just cut-to-fit SmellRid™ Reusable Activated Charcoal Vent Filter SmellRid™ Reusable Activated Carbon Vent Filters are sturdy, flexible non-woven filters impregnated with activated carbon. Each 4" x 14" vent filter is designed to fit most furnace ductwork vents, but can also easily be trimmed to fit. Place SmellRid™ Activated Carbon Vent Filters on the air vents of your home and the air circulated by your furnace or HVAC system is scrubbed free of odors, allergens and air-borne pollutants that can make sensitive family members and guests miserable. 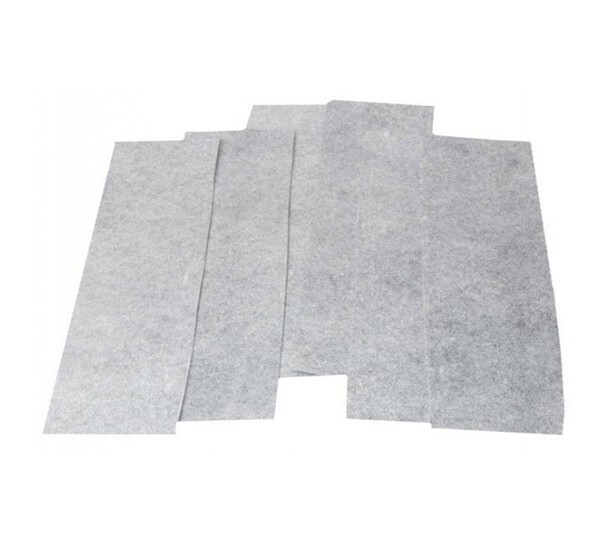 Stop Odors & Allergens Naturally SmellRid™ Activated Carbon Vent Filters form a natural barrier against air-borne odors plus pollutants and are especially beneficial in sick rooms, nurseries, and bedrooms. As air is pulled through the SmellRid™ vent filters, odor molecules and micro-allergens are absorbed and captured by the activated carbon infused in each filter. The result is cleaner, fresher air and significantly reduced air-borne particles and irritants. SmellRid™ Reusable Vent Filters offer the additional benefit of acting as a natural de-humidifier. The activated carbon naturally aids in controlling the damaging and irritating effects of air-borne mold and mildew, producing a drier environment that allows your family to breath easy. Save Money & Enjoy Long-lasting Air Purification with Reusable Filters! SmellRid™ Reusable Activated Carbon Vent Filters are easily reactivated and reused by placing in direct sunlight for one day. Once re-activated, each vent filter is ready to provide long-lasting, highly effective, and very affordable air purifying and deodorizing.